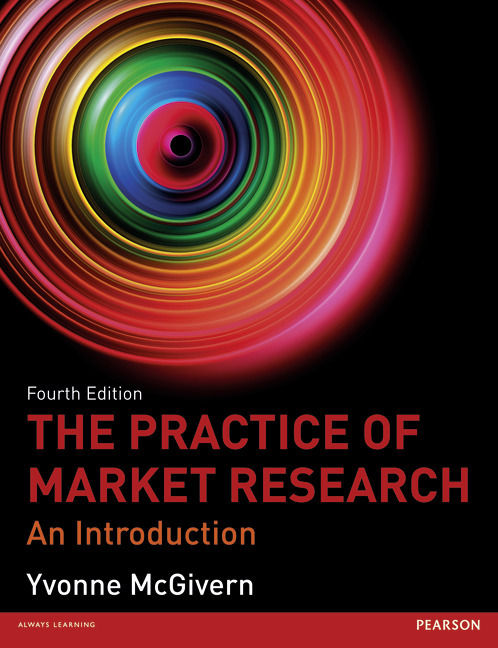 The Practice of Market Research offers a comprehensive and understandable account of the techniques and practical tasks involved in setting up and running marketing or social research projects. Linked to the professional body MRS (the Market Research Society) and with plenty of real-life examples from big-name companies such as McDonalds and Levis as well as governments and charities, the author’s depth of insight and experience of the real world of market research is evident throughout this book. This book is an ideal companion to any student’s market research course or research project and an indispensable guidebook with a long shelf-life for market research practitioners and people in the industry.